Here's the complete listing of all the attraction military discounts that you can take advantage of across the country. Adler Planetarium (IL) – Active military personnel receive free admission which can be applied to any admission pass. Please show proper identification at the box office to take advantage of this benefit. Adventure Aquarium (NJ) – $5.00 discount on one-day admission tickets for active or retired military, disabled veterans, and military reservists, spouses and dependents when valid military personnel IDs and dependent IDs are presented. Discovery Science Center (CA) – Members of the military receive 10% off for up to 6 general admission tickets. Valid Military ID is required for discount. The discount cannot be combined with any other discount or offer. Medieval Times – Discounted tickets available for active and retired military members. Adults $45.95, Children $30.95. Mystic Aquarium (CT) – Special admission rate of $20.95 per adult and $15.95 child per admission. As a thank you to active and retired United States military personnel, Mystic Aquarium offers a special admission rate of $20.95 per adult and $15.95 per child when they show U.S. military I.D. Applicable to general admission only for military and their dependents. $10 discount on the purchase of a new membership also available. Cannot be combined with any other offer. National Aquarium (MD) – So that they can offer a deeper discount, the National Aquarium provides discounted tickets to military bases in the region through our consignment ticket program. If you are in the service, they encourage you to check with the MWR at your base to see if discounted Aquarium tickets are available for you and your family. They occasionally offer a special military promotion, so sign up to receive Aquamail, the Aquarium's e-newsletter, and be one of the first to know about new discounts and promotions. New England Aquarium – Active duty U.S. military personnel and their dependants receive 50 percent off Aquarium and IMAX. This discount does not apply to non-dependant guests coming with military personnel. Both active duty military personnel and their dependents need to show their military ID or military dependent card (orange) to receive the discount for themselves and their children. If the military personnel are not present, the spouse may show his or her military dependent card (orange) and a photo ID and get the discount for themselves and their children. San Antonio Zoo (TX) – Military personnel receive $2 off admission price. South Florida Museum – located in Bradenton, wants to honor teachers and military. The combination natural and cultural history museum/planetarium/aquarium offers free admission to teachers and active duty U.S. military daily with valid identification. Standard daily adult admission is $19. Seniors ages 65 and up pay $17 and children ages 4 – 12 pay $14. Children under age 4 are always admitted free. The museum displays fossils of Florida’s earliest marine and mammal inhabitants and archaeological items representing paleoindian, archaic and pre-contact cultures of the Gulf coast of Florida. There are also galleries featuring local maritime history, medical history and environmental history. The Bishop Planetarium hosts films, lectures, live music and digital art performances. 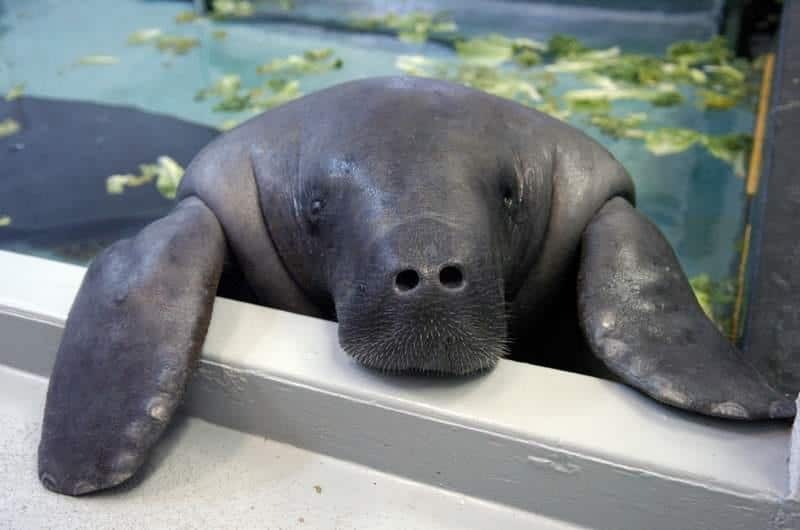 The Parker Manatee Aquarium is home to Snooty, the oldest known manatee in the world. Not an educator or in the military? Another way to visit at a discount is to plan your trip on the first Saturday of most months after 4 p.m. On “Family Night” regular admission is half price for everyone and the museum is open extended hours. South Florida Museum is located at 201 10th Street W., Bradenton, about one hour south of Tampa. For more information, call (941) 746-4131. Tampa's Lowry Park Zoo (FL) – In support of our troops, the Zoo is proud to offer Active Duty military and veterans, and up to three people in their immediate family/direct dependents discounts on tickets at the Zoo’s ticket windows daily (with valid military ID). Tennessee Aquarium – A 10% Military Discount is available. Show military I.D. to get a discount on Aquarium admission. Also applies to military retirees who show their I.D. cards. Available at Aquarium ticketing center only. 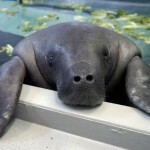 Wonders of Wildlife, American National Fish and Wildlife Museum– $1 military discount with military ID. For official site, click HERE. Zoo Atlanta – Zoo Atlanta salutes our Armed Forces! Receive $4 off general admission for up to 6 people. Discounted ticket ONLY available at the Zoo's front gate. Present valid military ID at Zoo Admissions to redeem your discount. Zoo Miami – Active military personnel receive 50% off and 25% off for their families (up to three people) for regular adult or child admission. Identification is required at time of purchase. Inactive military personnel receive 25% off and 25% off for their families (up to three people) for regular adult or child admission. Identification of past military service is required at time of purchase. Be sure to share these military discount attractions with all your fellow soldiers. Thanks! You can also check out other great attraction military discounts listed by location by checking out our destination guides page.